Vanto Group is expanding its operations and is currently looking for Senior Consultants to join our India-based team. 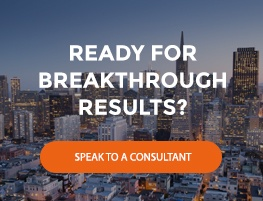 Vanto Group consultants specialize in selling, designing and delivering people-focused engagements that empower organizations to cause unprecedented business results while producing exceptional quality of life for their people. If you are looking for a fulfilling career in consulting that makes a real difference in organizations around the world and in the lives of people within these organizations, this career opportunity is for you. Be up to date with market dynamics and trends. Establish a solid working relationship with the stakeholders (C-Suite) and maintain close and direct contact with your clients. Develop value-driven verbal presentations for C-Level executives and senior management. Forecast client demands to continuously grow your business. Achieve Vanto Group certifications to lead various programs and engagements, including the foundational program based on “The Three Laws of Performance” book. Lead client engagements and deliver Vanto Group workshops that effectively fulfill on the results aligned on with clients. Manage client relationships and engagements such that consistent client satisfaction translates into repeat business. Serve as a key project team member responsible for understanding the needs of clients and conduct in-depth analyses to support client objectives. Partner with senior executives to define project approach and ensure overall project plan will achieve client objectives. Actively and methodically align various cross-functional stakeholders around objectives and measures of success. Drive the expansion of operations in India by creating, engaging with and maintaining a strong pipeline of client companies using your existing network and creating new networks to meet your personal and organizational sales targets. Consistently close contracts for high-value, complex consulting engagements by networking, cold calling, conducting sales meetings, designing engagements, and implementing administrative, sales and marketing activities consistent with high-powered, creative sales performance in the professional services market. Provide collaborative leadership in strategic, team-based conversations that support the identification of client needs, design and planning of engagements, negotiation of fees and reaching deal agreement in a diverse range of large and complex organizations. Achieve understanding and operate consistently with the policies, distinctions and practices of being a Vanto Group Leader and lead a life that demonstrates the power of the distinctions and practices that we use to work with our clients. Manage and schedule delivery days of engagements per the client requirements ensuring client satisfaction. Manage the delivery process impeccably in accordance with world-class consulting practices. Coach, mentor, train, and develop new leaders who join Vanto Group on an ongoing basis. Participate and contribute to regular conference calls, annual staff meetings and workshops designed to develop your understanding of business offerings, elevate team performance and your personal contribution to the expansion of Vanto Group’s global presence. Interface with the administrative team to ensure maximum revenue, profitability and administrative compliance is maintained during lengthy and complex contracting activities. At least ten years in a corporate role and five years in a mid to senior level position inside a complex, professional services environment. Proven ability and track record of bringing in new business and opening doors with new clients. Self-starter, highly motivated with an innate sense of urgency and positive can-do attitude. Impeccable work ethic, discipline and practices. Outstanding written and verbal communication (speaking and listening) skills. Willingness to be coached for expanded performance as a high-powered professional. Extensive experience working with groups of business executives. Academic experience in a related field, such as teaching management on a college level. Strong track record of ongoing personal and professional development. Competitive base salary and bonus structure. Team-based sales and delivery approach to expand results in complex opportunities. Flexible schedule working from a remote office. Exceptional professional development and coaching opportunities with world-renowned experts in the field of organizational transformation. Opportunity to make a difference with your work in the world.